Starbucks has released a great little update to their already pretty impressive Android app that allows you to capture the music you are hearing in the store with Spotify and add it to your account. The update is version 3.4 for those keeping score at home and is rolling out to the Google Play Store now. If you haven’t seen the update yet, you should in the next day or so. In participating stores, you can use the Starbucks app on your phone to capture the music you are hearing and then add it to your Spotify playlist. I’ve always found the music playing in most stores to be pretty good and often music that I wouldn’t discover on my own. Now you have a great way to capture it, take it with you and listen to while you are away from your local Starbucks. In order for this new feature to work, you will have to make sure that location services are enabled on your device for it to work properly. 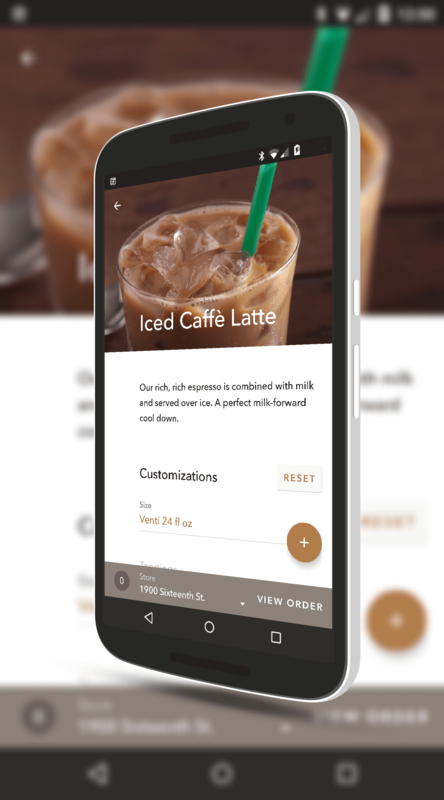 the ability to place orders ahead of time through your phone and simply walk in and pick it up from the barista. This of course on top of the ability to pay through the app with a linked Starbucks card which and be funded through the app as well. It is overall really impressive what they have done and it makes finding a drink or food item quick, easy and with the full knowledge of what kind of calorie hit you are going to take for that latte. It should go without saying but… to use Spotify you need an account which is also free.